Exercise Honesty: Members shall be honest in their dealings with OTC and sporting officials. Members shall not knowingly submit false information to the club or to organizers of sporting events. Train and Race Safely: When participating in OTC events, or at anytime representing OTC by wearing a team kit or gear, members will conduct themselves in a way that ensures their personal safety and the safety of others. This includes wearing appropriate safety gear, such as bike helmets, and riding safely and respectfully on a bike. Members shall be personally responsible for familiarizing themselves with the rules of the road, the rules of the sport, necessary safety precautions, and handling skills. Avoid Abuse: Members shall not engage in behavior that may threaten or appear to threaten other individuals, nor shall members create a hostile environment at OTC events, in official OTC on-line forums, emails, or social media. Members shall refrain from inappropriate language or unsportsman/unsportswoman-like conduct toward club members or other participants at sporting events. We will not tolerate abuse in any form - physical, mental, sexual, or verbal. No Discrimination: OTC does not discriminate on the basis of race, color, gender, sexual orientation, gender identity or gender expression, national origin, age, disability, veteran's status, religion, creed, or athletic ability. No manner of discrimination by club members, verbal or otherwise, will be tolerated in any function of the club whether in-person or on-line. 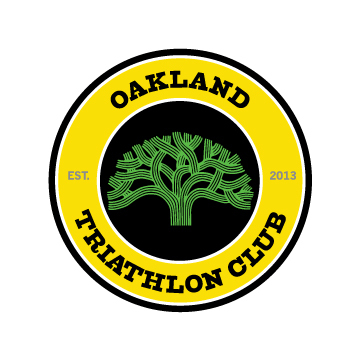 No Substance Abuse: OTC supports a club environment where all members train and race clean. Members shall not participate in OTC events while impaired by illegal substances. Members will adhere to the anti-doping guidelines set forth by the World Anti-Doping Agency. Members choosing to drink at club social events must do so responsibly. No Illegal Activities: Members shall not cause or participate in any illegal activity as defined by local, state, or federal law while participating in an OTC event. Be Courteous To Others: Members are expected to be courteous and cordial to others (including, but not limited to, club members, spectators, guests and officials) at any club or sporting event. In the context of club interactions (both in-person and on-line), members shall not use any form of communication that is derogatory or personally damaging, nor conduct or condone any programs, activities, publications, speeches or conduct which is offensive, in poor taste, or otherwise considered detrimental to the best interests of the club. Be Responsible: When signing up for a OTC event for which entry is limited or a fee is required, members shall exercise their best efforts to attend, and if unable to attend, shall notify the event's organizer as early as possible but no later than 24 hours in advance. Make Payments Promptly: Members shall make prompt payment to the club of any outstanding balance, including but not limited to payment of fees for membership, special events, and any clothing or equipment. Respect Club Partnerships: OTC may have official partnerships with local and national businesses which provide members access to benefits, discounts, and services. Members shall use discretion when dealing with our partners, including the use of discounts and adherence to our partner's policies, to ensure the club maintains strong relationships. For any questions regarding these expectations, or if you feel that another club member is not following the code of conduct, please contact OTC leadership immediately.